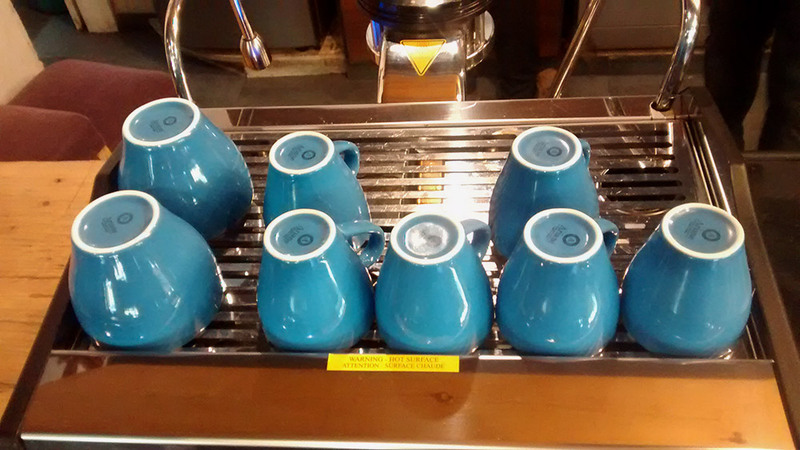 Part science, part art: Is this the most perfect cup of coffee in all of India? Neeraj Sheoran is among a growing set of independent roasters who are letting customers experience India-grown coffee at its best. At Curious Life Coffee Roasters in Jaipur, no one calls out a greeting as you enter and you certainly won’t see your name scrawled on a cup. But as far as personalised coffee experiences go, you are unlikely to find one more tailor-made than at this nondescript café, which lies nestled amidst the city’s rapidly growing urban landscape in the hip C-scheme area, next to an incongruous deer park. If you come in early enough, you might get to watch the café’s owner, 40-year-old Neeraj Sheoran, frowning at his freshly ground beans as they sit atop a digital weighing scale, squinting at a hissing aeropress, and then pouring an entire cup of coffee down the drain and starting over. This obsession with the perfect cup of coffee was inexplicable to customers when he first opened the cafe in September 2015. Many came expecting their usual cappuccino with a flower or feather artfully drawn in foam, but as Sheoran said, “Our cappuccinos will never have art on them, because a good cappuccino should have foam so thick a design can’t come through. What they really wanted was a latte.”. Neeraj Sheoran makes coffee using the siphon. New roasteries and single estate brands have been popping up with some regularity in the bigger Indian cities, but the specialty coffee industry in India is still a nascent one. In 2015-’16, India produced 3.48 lakh metric tonnes of coffee – nearly 4% of the global coffee output – making it one of the top 10 producers in the world. More than 72% of the total coffee grown came out of Karnataka, followed by Kerala (20%) and Tamil Nadu (5%). However, nearly three-fourths of this coffee was exported. Of the country’s total output for the year, two-thirds was of the cheaper robusta variety, and a third was the more sought-after arabica. Robusta is a safer bet for farmers because, as its name suggests, it is a tougher crop, more resistant to disease and easier to grow. It also packs in more caffeine per gram, giving your average coffee drinker far better pick-me-up value. Arabica, on the other hand, is more flavourful and less bitter, but prone to diseases and fussy to grow. It is labour intensive and has to be picked manually when the berries are at the optimal ripeness. The result is a superior coffee, but at a much higher price. Farmers pick coffee beans at the Araku Valley estate. He ushered one of the waiters to bring us his newest offering, a coffee from an estate in Andhra Pradesh’s Araku Valley. The tray arrived. On it was a small stopwatch, flanked by an empty ceramic cup and a French press. The barista set the timer when the hot water was poured into the press. “Only pour it out when the stopwatch beeps, please, otherwise it will either be over-extracted or under-extracted,” he cautioned. I did as he said, and he watched closely as I took my first sip. I knew little about terroir and floral notes and fruity aromas, but this was unlike any coffee I had ever tasted. I raised my eyebrows in surprise, and he smiled. 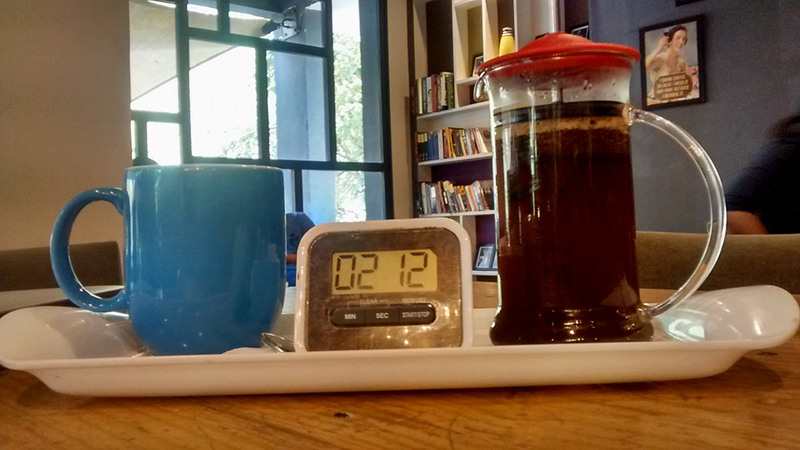 The French press is served with a timer. When Cafe Coffee Day first opened in Bengaluru in 1996, it introduced a new coffee culture to the tea-loving country. At this point, coffee was still the beverage consumed at home by mainly older folks, almost exclusively in the southern belt. These coffee drinkers had their decades-old slow-drip percolators, chicory blends and religiously followed milk-to-sugar ratios. Of course, a good South Indian filter coffee remains beloved, with good reason, and is still growing in popularity. But what CCD did was quite different – by offering its own roasted blends and quirky variations (Tropical Iceberg, anyone?) it made drinking coffee a social, everyday experience for younger customers with growing disposable incomes. Its parent company, Coffee Day Enterprises Ltd, is one of the biggest growers and exporters of Arabica beans in Asia, and it claims to have more than 1,500 outlets across 29 states. The global chain Starbucks was welcomed to India as an alliance with Tata in 2012, with people queuing for hours to get into its first outlet at Horniman Circle, Mumbai. It now has more than 40 stores across the country. Custom-designed cups are engineered to hold the optimal volume at the perfect temperature. 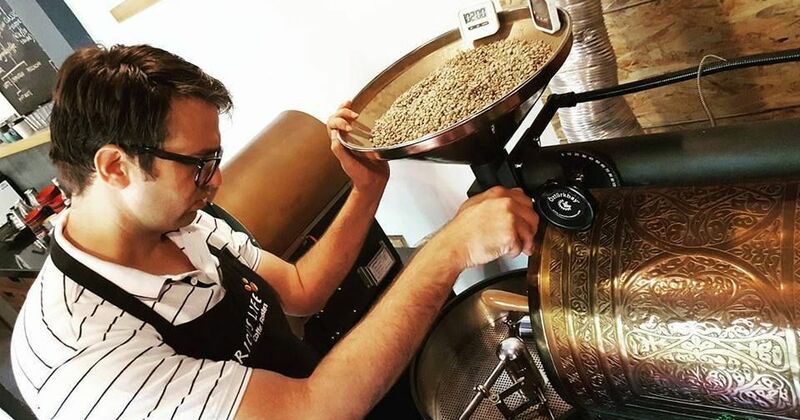 For Sheoran, and other specialty coffee enthusiasts, every variety of bean has to be roasted to its own unique specification to bring out its best attributes. At his cafe, he trusts no one but himself to roast the beans, and sometimes his co-founder Manu Singh, who is also responsible for the café’s excellent and restrained food menu. They follow the rules of 15 – the coffee beans have to be roasted 15 months from the time they are harvested, ground 15 days from the time they are roasted, and brewed within 15 minutes of grinding. Once the baristas have helped you choose the roasted beans, they can be prepared in a variety of different ways. You can pick one of the espresso-based coffees made using the “Porsche of espresso machines”, the Lamarzocco, or you can have it brewed using a pour-over, an aeropress, or a French press. For the geekiest customers, there’s the siphon. If you pick this method, you are asked to sit at the counter and watch it being made like a piece of performance art. The siphon, first designed more than a 100 years ago, uses vapour pressure and vacuum to brew the coffee, instead of boiling water, which destroys a bean’s inherent qualities. It is a theatrical feature at several novelty coffee shops around the world, and at Curious Life, you have to arrive before 1 pm to try it. After the coffee is brewed, it is poured into custom-designed cups that Sheoran said were engineered to hold the ideal volume for his signature drinks and keep them at the right temperature. A pure espresso shot is served in the traditional style – alongside a glass of water. There’s no crowd-pleasing cold coffee with ice-cream, but those inclined, can try the 18-hour cold brew instead. Coffee is sourced from several parts of the world, most notably the tropical belt which includes places like South India, Ethiopia, Kenya, Rwanda, Uganda, Mexico, Panama, Nicaragua, Honduras, Columbia, Brazil and Indonesia. John M Talbot, in his 2004 book, Grounds for Agreement, The Political Economy of the Coffee Commodity Chain, declares it the second-most exported commodity by the so-called developing countries after crude oil. None of these are rich countries, and the farmers involved in coffee cultivation often earn pitiable amounts, sometimes under a dollar a day. The specialty coffee movement, which can be traced back to the 1970s, in part claims to work toward a more equitable production system, encouraging fair trade and local sourcing, working directly with farmers and putting its own resources back into the crop cycle. At its essence, specialty coffee is defined by the microclimates in which it is grown, the soil, the altitude, the humidity, the planting and harvesting process, the actors involved in its entire lifespan, from bean to cup. It is linked to the “fundamental premise that specialty coffee beans will always be well prepared, freshly roasted, and properly brewed,” as Ric Rhinehart, executive director of the Specialty Coffee Association of America, writes. At the forefront of this shift in coffee culture in India, is Blue Tokai, a company founded by Delhi-based Matt Chitharanjan and Namrata Asthana. The company works with small-scale growers in Karnataka and Tamil Nadu, and offers its customers customised fresh roasts in small batches. Others include the Seven Beans Coffee Company, whose founder’s family has been in the plantation business for generations, and Black Baza Coffee, which was started by a PhD scholar working on sustainable coffee farming. Metros like Delhi, Mumbai and Bengaluru now have multiple coffee roasters offering their own specialty brews, and some, like Meraki – The Coffee House, have even sprung up in smaller towns like Surat. Co-founder Manu Singh with the roaster. Sheoran grew up in Haryana, joined the Army, serving for nearly 15 years and rising to the rank of lieutenant colonel. While working as a peacekeeper on a United Nations mission to the Democratic Republic of Congo, he was introduced to all kinds of interesting coffee by his teammates from various African and Latin American countries. Later, a serious spinal injury compelled him to look for other career options, and the Army sent him to the Indian Institute of Management-Ahmedabad for a six-month course. Sheoran began reading voraciously on the internet and got interested in third wave coffee culture. He picked Jaipur as the centre of his operations because of its laid-back pace. “That suited me better.” He started by roasting coffee in small batches – 300 gram at a time – and offering them to small local cafes. Ultimately, though, he decided that the only way to control the quality of the eventual cup of coffee, would be to make it himself.